There is a saying in the wine biz that it takes a lot of beer to make great wine. So, it seems only natural that a brewery would set up shop in Santa Barbara wine country. Jaime Dietenhofer grew up in Los Olivos and wanted to start a brewery when he was in high school. Perhaps it was in his blood, as he is of German heritage. But, his dad Jim laughed and told him to go to college. 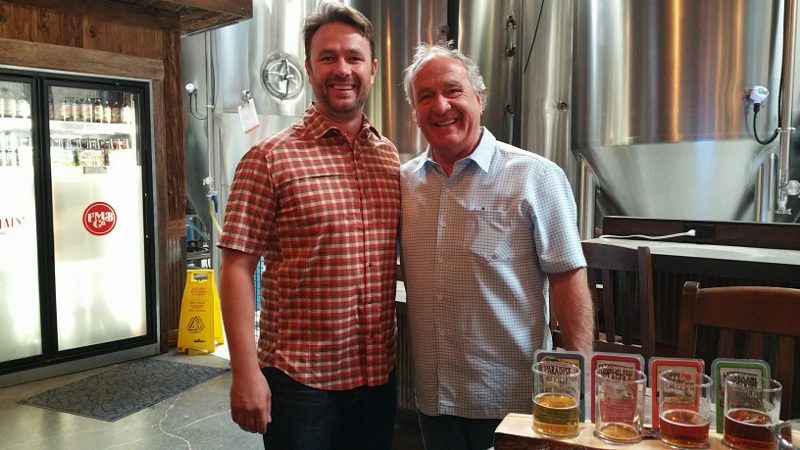 He went to Whitman in Walla Walla, Washington and researched beer while he was there. It was the mid-90s and breweries were growing in the Northwest. Jamie also studied abroad in Vienna, Austria for a year with his now wife Meighan. Between Austria and Germany, they visited a lot of biergartens. Jaime then attended graduate school at UCSB for economics and green development but his dream to own a brewery didn’t die. Regardless, his father told him to get a job. Jamie started pimping garages and started a business called Garage Envy. He did this for 12 years and had a show on the DIY Channel for 3 1/2 years. 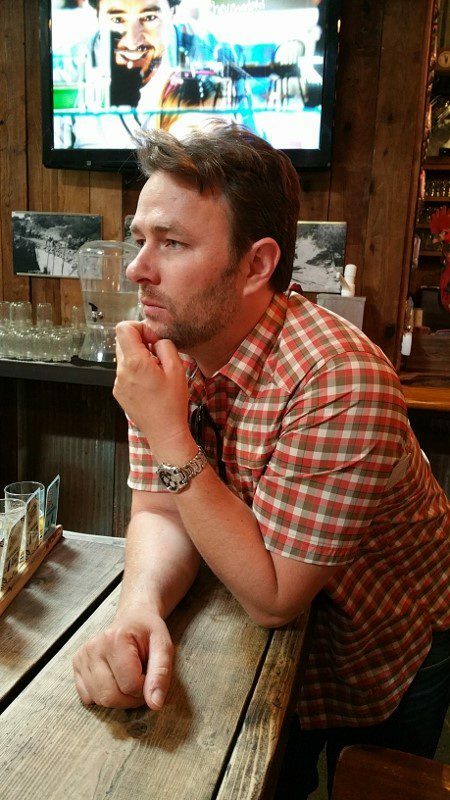 During this time, Jaime spent 15 years building his idea, interviewing over 140 brewers and writing a business plan. Then in 2008, he presented his idea again to his dad and this time his dad agreed to start a business with him. The economy was failing and they were able to purchase things cheaply. 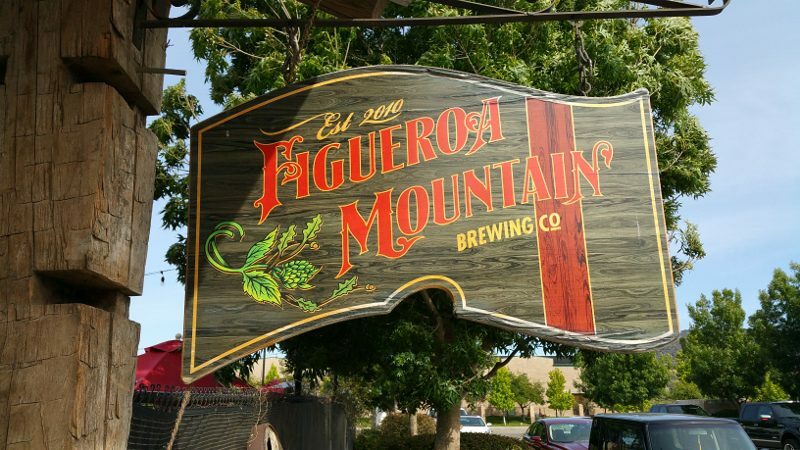 Then, in 2010, Figueroa Mountain Brewing Company opened their doors. The first year they made 600 barrels, 1200 in the second year, 3600 in the third year, 8000 in the fourth year and 15,000-20,000 by the end of this year (their fifth year). 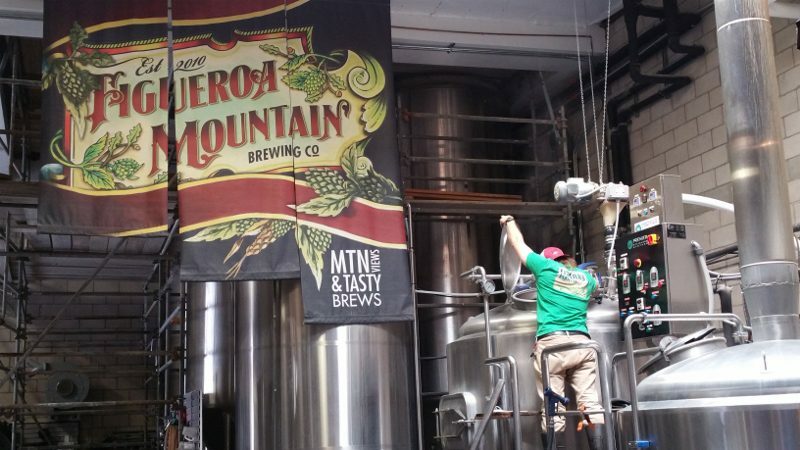 The main brewery and bar is in Buellton but they also have locations in downtown Santa Barbara (in the Funk Zone), Westlake Village and Arroyo Grande. In the wine industry, there are many once-in-a-lifetime experiences. Tasting a wine for the first time, pulling an old vintage out of the cellar, sitting with winemakers and tasting their wines, every wine experience is unique in its own way. But, from time to time a tasting takes place that takes once in a lifetime to a new level. At Pebble Beach Food and Wine in April, a tasting took place that really was the tasting of a lifetime. 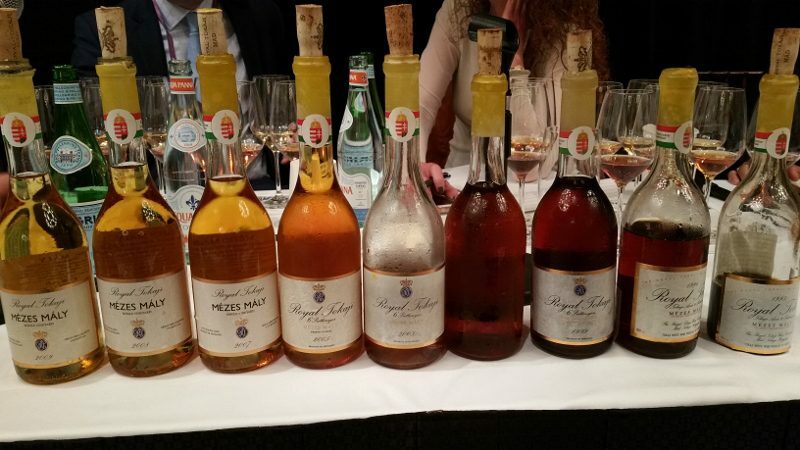 Since Royal Tokaji started in 1990, they have produced only 10 vintages, made only in exceptional years. Our tasting of a lifetime was a complete history of the company through nine of its vintages (sadly, there is no more 1993 left). Tokaj is a region in northeast Hungary. It was the first vineyard classification in the world in 1700, more than 150 years before the Bordeaux classification of 1855. The wines of Tokaj were consumed by royalty, emperors, popes and czars for more than 300 years. The Little Door restaurant is like a little secret hideaway, but it’s not a secret. The space on 3rd Street in West Hollywood has been known as a romantic French restaurant since it opened in 1996. It seems to be tucked away but it’s actually on a busy street and easy to find, if you are looking for it. In September (2014), The Little Door opened a second location, tucked out in the open on 26th Street, just south of San Vicente, in Santa Monica (across the street from the Brentwood Country Mart).